AMD has finally released a new set of Catalyst beta drivers for Radeon graphics cards, promising performance improvements in two recently-released PC titles: The Witcher 3: Wild Hunt, and Project Cars. The Catalyst 15.5 Beta drivers are said to improve performance in The Witcher 3 by around 10 percent for those with single-GPU R9- or R7-series cards. AMD has also released an updated CrossFire profile for the game, and advises people with multi-GPU setups to disable TemporalAA in The Witcher 3's Rendering.ini settings file to prevent "flat to negative multi-GPU performance scaling". 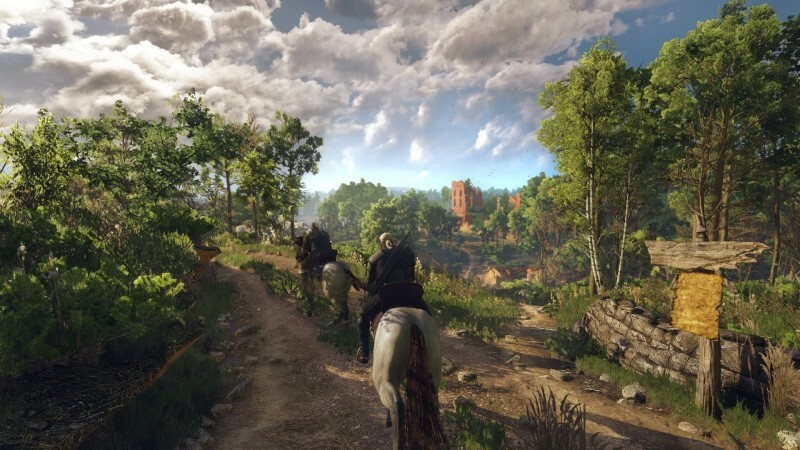 AMD's performance optimization guide for The Witcher 3 also recommends people manually set the maximum tessellation level for the game at 8X or 16X if they want to use Nvidia's HairWorks. Setting the game to full screen exclusive mode will also improve stability for those with CrossFire setups. As for Project Cars, the Catalyst 15.5 Beta drivers improve performance by around 17 percent for single-GPU gamers. CrossFire users are advised to disable DS2M anti-aliasing to prevent graphical corruption. If you want to download AMD's latest Catalyst Beta driver, either get the Catalyst Control Center to automatically download it for you, or grab a manual download here. Are you going to rerun the benchmarks with this driver and update the article? When they released their Omega I started to BSOD once I got into Windows. I found it to be MSI Afterburner that was causing my issue. I disabled it and the BSOD left. Then with further t/s I found if I unchecked "Reset Display Mode after setting unofficial overclocking." I wouldn't BSOD and haven't since. Probably not now since it has been a few weeks. We have new GPU reviews next week and we will include Project CARS and The Witcher 3: Wild Hunt with the new drivers. So, lets get this straight. AMD's answer to poor performance is to release yet another 'beta' driver. Followed by advice to start turning down settings in the game files. Way to go AMD !! Now everyone should be pleased. As they have taken so much flak in the past over their drivers, their new approach is to release every driver as a 'beta'. That way if it turns out to be rubbish they can just answer with ' it's only a beta driver and does not represent what you can expect in a fully released driver '. I would not consider myself a 'fanboy' before the usual AMD lobby start their defensive assault. I have an Nvidia card now, a GTX690, but only because it was the best card I could get at the time. I have no brand loyalty at all. But I think only a fool buys AMD cards now, Nvidia have a lot to answer for, but if you want the best and most consistant and reliable product it has to be Nvidia. Make of that what you will. It's not like Witcher 3 had any performance issues on AMD cards anyway, but it's great they now have an official driver to tackle performance. Personally I think Hairworks looks like crap anyways (in any game for that matter). So I'm perfectly fine with gaining a good chunk of frames by disabling it. go troll on some other site! Vaibhav Sharma, wizardB, Puiu and 2 others like this. They release it as a "beta" driver simply because it doesn't have the WHQL certification. In every other aspect, it's exactly the same as monthly Catalyst releases have always been. Also, they recommend you turn down tesselation to 16x in order for Hairworks to work on AMD cards with no reduction is visual quality and much higher performance. It's a much better solution than what Nvidia offers, which is to upgrade to a Maxwell card, because every GPU from the 700 series or lower also struggle just as much as AMD cards did, and Nvidia doesn't allow you to override tesselation settings. Basically what is happening here is AMD beating Nvidia on their own game, while Nvidia gives a middle finger to their customers and says "upgrade to Maxwell or you get screwed". You mean "the best and most constant and reliable reliable product until Pascal is released next year and Maxwell performance suddenly tanks and ou're forced to upgrade". That, assuming you can use all the VRAM that is advertised to begin with. Or that ou don't get another WHQL driver update that literally kills GPUs again. Vaibhav Sharma, SuperVeloce and Evernessince like this. Hey chief, Nvidia launched drivers for GTA V and Witcher 3 too so rethink your argument driver optimization is standard practice for both companies. Except that the Witcher 3 driver for Nvidia is just a PR stunt because it improves nothing.